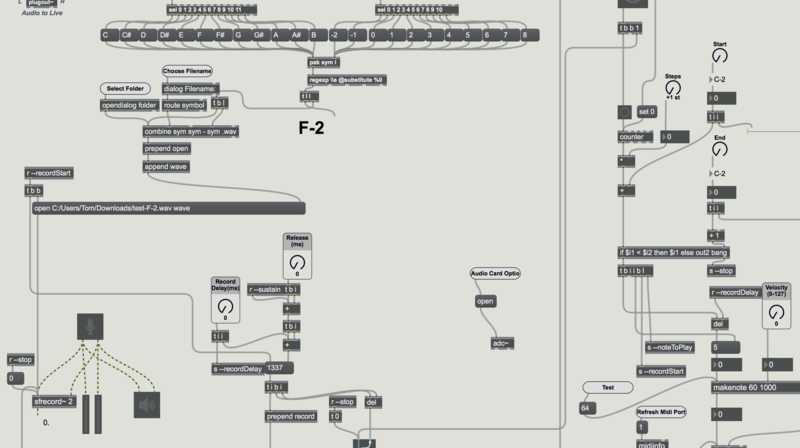 1 - Setup two blank MIDI Tracks in Ableton Live (one for sending MIDI, one for receiving). 2 - Set the “MIDI From” of the receiving Track to the sending Track. 3 - Arm the receiving Track. 4 - Load the Max for Live patch on the sending Track. 5 - Click “open” and select an image file. 6 - Make sure the BPM of your project is set to 120 bpm. 7 - Click a free record on any Clip Slot on the receiving MIDI Track. 8 - Go make a cup of tea while it works. 9 - Once done - select all the notes and extend them out so they cover the empty space until the next notes. 10 - Optional - Check the “draw mode” box if you wish for any white space to NOT write a MIDI clip, instead leaving a blank space (Good for sketches and drawn pictures).